Beware what lurks in blood! The salient blood of a long-dead monstrosity, the levialgoi are powerful, ancient aberrations that seek the remnants of their former body so that they might complete their quest to devour the cosmos. 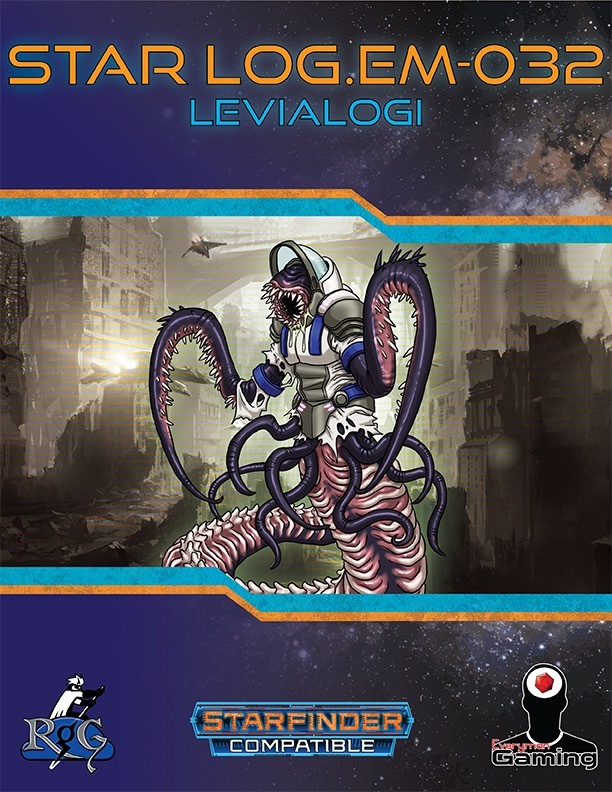 In addition to learning about the history of the levialogi in Rogue Genius Games's Blood Space campaign setting, Star Log.EM-032: Levialogi offers three new levialogi monsters (CR 1, CR 20, and CR 25), as well as a new subtype graft so crafty GMs can build their own levialogi monstrosities. Star Log.EM-032: Levialogi. Because space is NEVER scary enough!